NEW ORLEANS, La. -- Former New Orleans Saints star Will Smith had a loaded gun inside his vehicle on the night he was shot, but there was no evidence that it had been fired, police said Tuesday. In a statement, police shed new light on the shocking death of the New Orleans football legend who was shot and killed Saturday night. 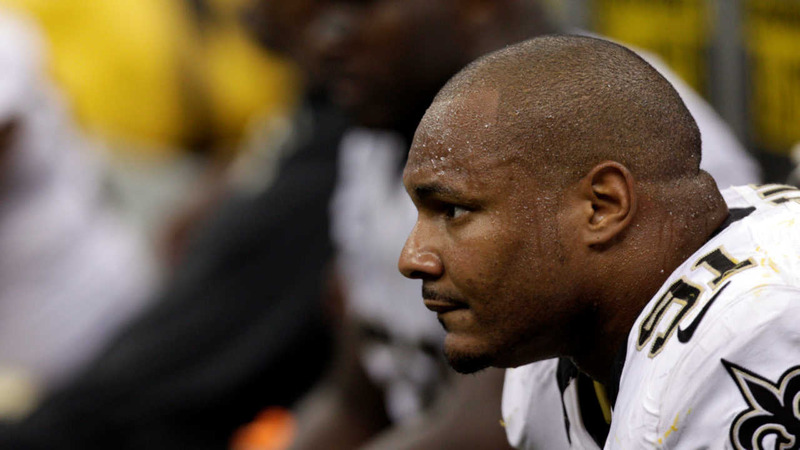 Police have said that Smith and his wife were shot by Cardell Hayes after a traffic altercation. Among the other news released in the statement: Hayes told police on the scene that he was the shooter, police also found a loaded revolver inside Hayes' vehicle and Smith had two other passengers in his vehicle Saturday night in addition to his wife, although neither was wounded. Authorities said there was no evidence to suggest either weapon found during a search of the vehicles Tuesday morning was fired during the shooting and that Smith's gun was fully loaded. Instead, police said Hayes shot Smith with a different handgun. "During the argument, Hayes produced a .45 caliber handgun and opened fire, striking Smith and his wife. No one else was injured in the gunfire," police said in the statement. Smith's wife was shot in the leg but survived and was taken to the hospital. "Hayes was on the scene when officers arrived and identified himself as the shooter. Detectives detained and questioned Hayes. Based on the interview and evidence gathered from the scene, detectives arrested Hayes and booked him with Second Degree Murder. An additional charge for Smith's wife's injury is pending further investigation," the statement read. Police earlier had said they confiscated a weapon at the scene believed to have been used to shoot Smith, but until Tuesday had not commented on whether Smith had his own weapon or whether any other weapons were found. The statement Tuesday is the latest twist in a case that has riveted a city where Smith was a fan favorite. Police have said Smith and his wife were driving in the Lower Garden District, an upscale part of the city, when their Mercedes SUV was hit from behind by an orange Hummer driven by Hayes. The impact caused Smith to hit a grey Chevrolet Impala in which two friends of Smith were driving. No one was injured in the Impala. At some point, Hayes - who himself played defense in a semi-pro football league - and Smith exchanged words, and that's when police say Hayes pulled out a gun and opened fire, hitting Smith and his wife. Smith died with his door open, slumped over the driver's seat. A defense attorney for Hayes, John Fuller, has insisted that Hayes will be vindicated once the full story emerges, saying that someone "besides my client" was behaving in a threatening manner, although he hasn't said who: "My client has been pilloried, convicted and tried" in the news and on social media, he added. Fuller said that Hayes was actually the victim of an earlier hit-and-run, that he had called 911 and was following the vehicle that hit him to read the license plate number moments before the confrontation with Smith. Surveillance video from businesses in New Orleans' Lower Garden District shows what may have precipitated the deadly confrontation. The surveillance video from Magazine Street, where the Smiths had eaten dinner at a Japanese restaurant earlier Saturday night, shows what appears to be Smith's Mercedes SUV bumping the rear of a Hummer stopped on a busy street. The Hummer then pulls over but the Mercedes, rather than stop to inspect for any damage, pulls around it and drives away. Video captured moments later by a camera at a neighborhood bar shows what appears to be the Mercedes driving by, followed closely by the Hummer. The shooting happened at an intersection just past the bar. Hayes, 28, is being held on $1 million bond. Police also said Tuesday that they were reviewing surveillance videos from the neighborhood. "During the course of the investigation, detectives obtained several surveillance videos from the neighborhood that appeared to show a traffic collision involving the Mercedes G63 and the Hummer H2 take place prior to the shooting. Detectives are in the process of reviewing that video and obtaining additional video to use as part of the investigation," the statement read. A police spokesman, Tyler Gamble, has said the investigation prevents him from saying whether Hayes called 911 to report a hit-and-run accident. Fuller said Tuesday that an April 28 hearing during which prosecutors will have to describe evidence against Hayes has been set. Meanwhile, the Saints and Smith's family announced that a public visitation will be held Friday to honor Smith and that a private funeral and burial will be held Saturday. Other questions remain about that night. Police haven't released the accounts of Racquel Smith, the passengers in the other cars, nor any other witnesses. The news was hard on Smith's many fans. Smith came to New Orleans from Ohio State where he was on the 2002 national championship team, and quickly became a team leader. After retirement, he chose to stay in his adopted community, showing his commitment to the city as it recovered from Hurricane Katrina and supporting a foundation that helped women and children.